A self-guided walking tour through Downtown Auburn, highlighting public art, including mosaics, murals, and sculptures created by local artists. The Auburn Downtown Business Improvement District was looking for ways to foster appreciation for local art among residents and visitors alike. They decided to create a public art trail and looked to professional designers, Crème della Crème Copywriting & Communication to create the logo and a self-guided art walk brochure and map. 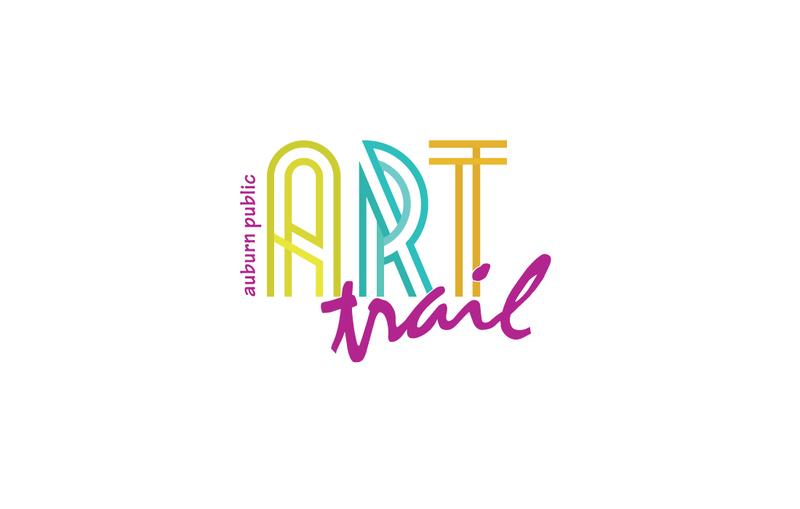 Designed to be a work of art itself, the Auburn Public Art Trail logo features bright colors and unique typography. The logo’s colors and distinctive style is seen throughout the art walk map and brochure, which includes a detailed map and information about each piece of art on the trail.